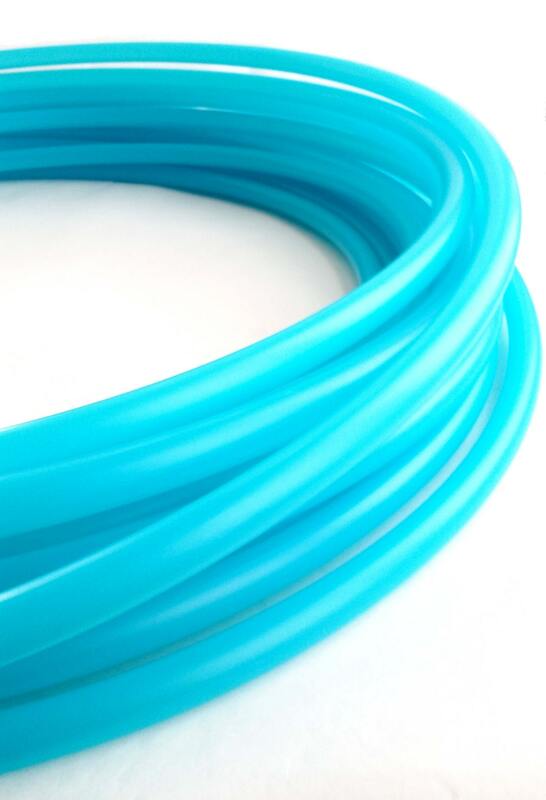 5/8”UV Electric Teal Polypro Hula Hoop OD Sizes (25"-36") or Mini(s) (18"-24"). 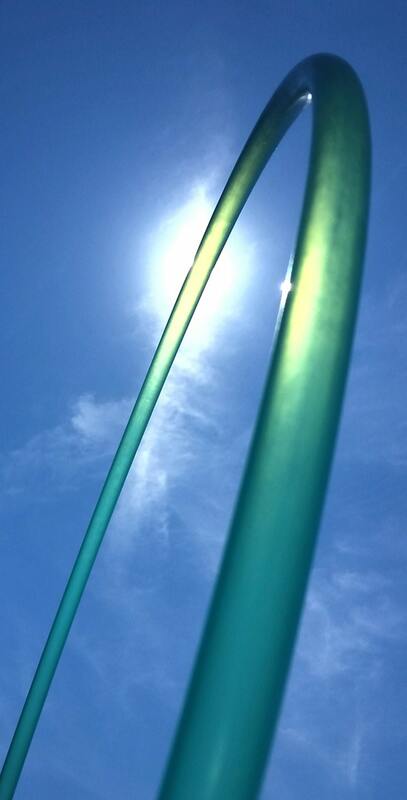 Polypro is a light weight plastic that is super reactive to touch making this the perfect hoop for fast light weight trick hooping. Push pin look makes this hoop easy to coil down for travel. Selecting Twin in the drop down menu means two hoops the same size. ♥ Mini sizes 18”-24” riveted shut or push pin closer for extra fee. Select "Twin" in the drop down to receive 2 mini hoops. Beautiful color and looks great with the grip tape. Great quality as always! Received sooner than anticipated and was well packaged/protected. 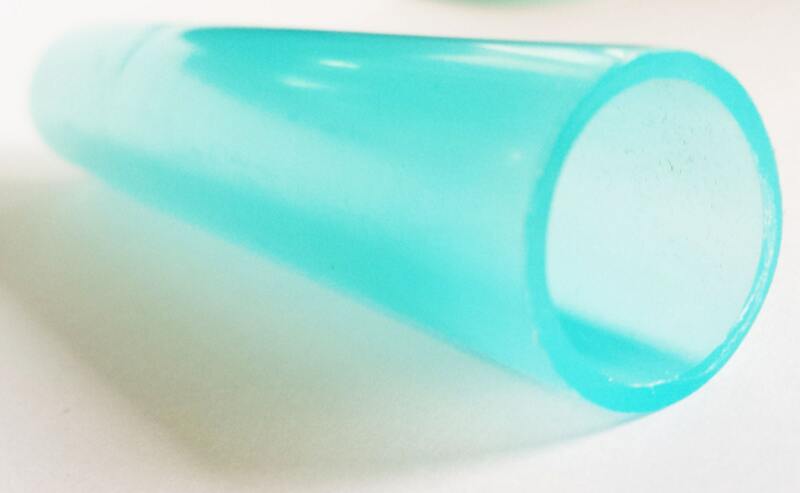 The teal color is beautiful and exactly what I was hoping for. 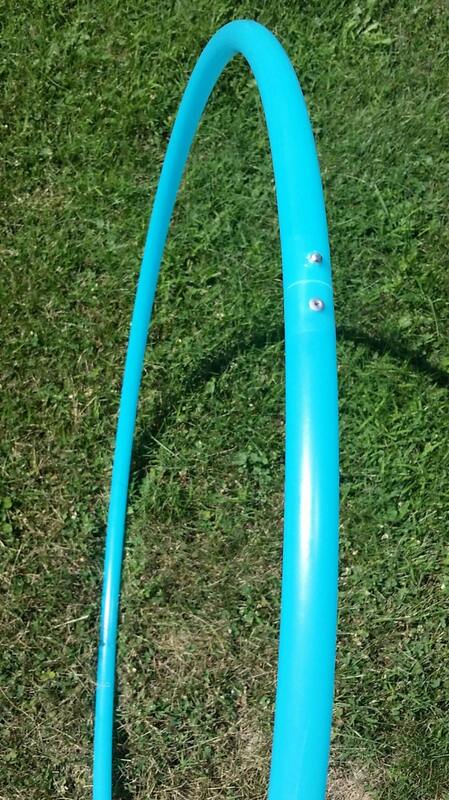 Well made hoop with a smooth connection...I'd recommend this one!